Since the August 14. 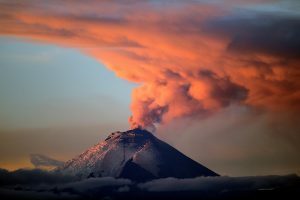 2015 the excess to the summit of the Cotopaxi Volcano has been closed for climbers. Reason for that was a new strong eruption of the mountain that day, and the damages that the main route to the top received on that event. Now after almost 2 years the chance of the summit being opened again, is opening up. Technicians from the Department of Risk Management, Ministries of Tourism and Environment, as well as high mountain experts analyzed new and safe routes, which have the respective signage for a risk-free climb, to the top of Cotopaxi. There is a high chance that the summit will be open again at the end of june, if everything works out. So stay tuned folks and check out our offers for cotopaxi trips and reserve a place in one of the first tours to the summit again. If you want to book right now, don’t worry. If the summit should not be opened again, there are still a lot other mountains to climb and we are flexible and can reorganize for another summit.